IDW have kindly brought my cover art created for Star Trek: Khan #3 to your digital devices in time for the Holidays with this wallpaper. 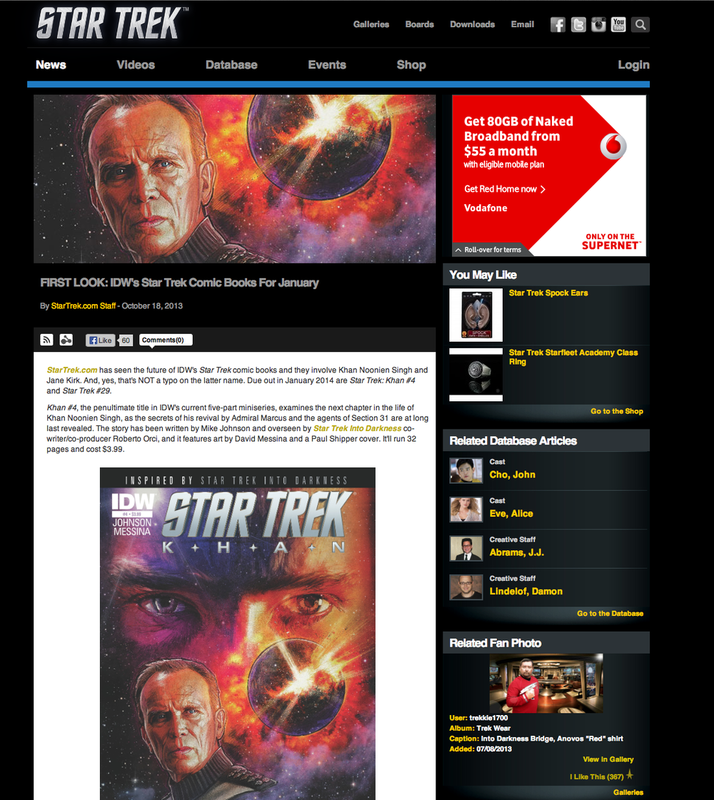 Head over to www.idwpublishing.com and download for your Phone, Tablet or Desktop at the resolution you need... LLAP! 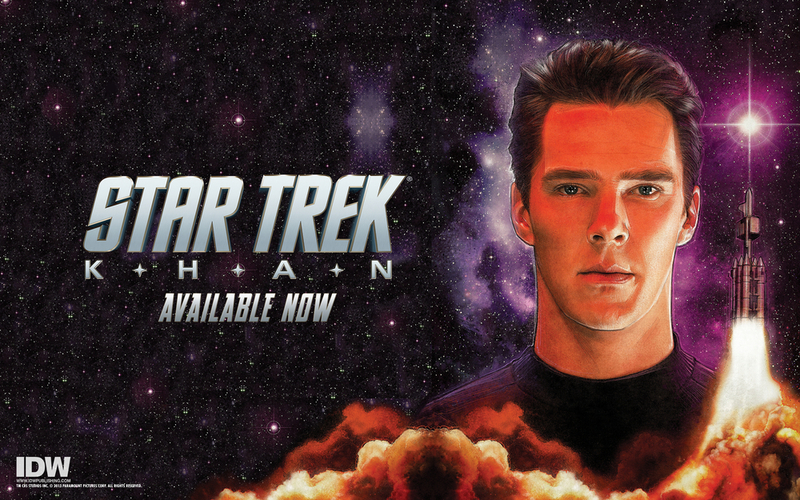 Get your signed copy of Star Trek: Khan #1 from the ShipShop! Hot on the Heels of Issue #1's release this week, Cover #4 was announced on StarTrek.com today. With only one more cover to reveal I feeling a certain melancholia... I have enjoyed creating these covers and I hope the fans will love them and this series. Illustrating #Cumberbatch is one thing, I got very excited when @sarahgaydos told me they wanted Admiral Marcus on the cover too! Robocop!! Below are covers 3 and 4and are due out Dec and January respectively. 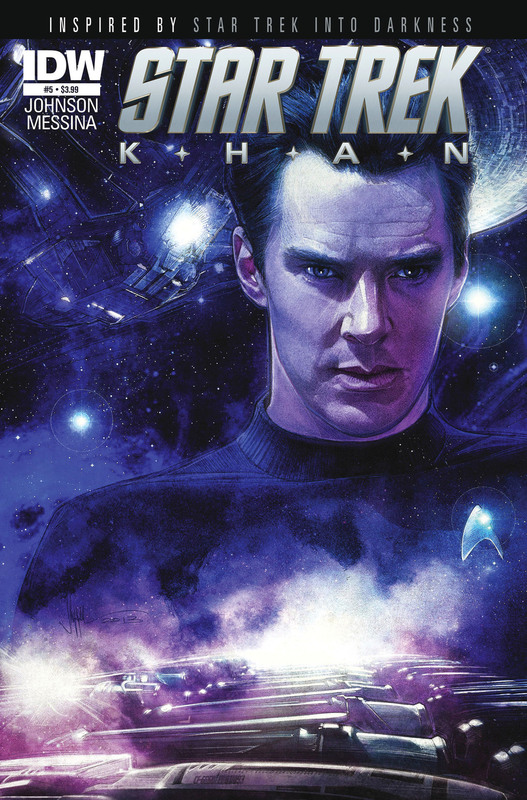 Head over to Comic Book Resources and StarTrek.com for an exclusive preview of IDW's Star Trek: Khan #1!